We’d love your help. Let us know what’s wrong with this preview of What the Luck? by Brian Cramer. Bill Brabham, a recently divorced and unemployed financial manager from Texas, is a man down on his luck. With nothing left to lose except possibly a few years of his life, he takes a high-risk, high-reward job cleaning up at the Fukushima Daiichi Nuclear Power Plant. 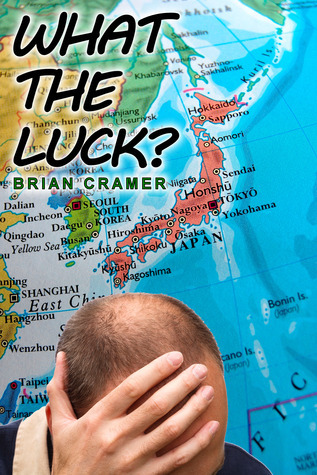 While in Japan, his luck drastically changes, and everything starts to go right for him. Unfortunately, his Bill Brabham, a recently divorced and unemployed financial manager from Texas, is a man down on his luck. With nothing left to lose except possibly a few years of his life, he takes a high-risk, high-reward job cleaning up at the Fukushima Daiichi Nuclear Power Plant. While in Japan, his luck drastically changes, and everything starts to go right for him. To ask other readers questions about What the Luck?, please sign up. Be the first to ask a question about What the Luck? This was an interesting, enjoyable book. I don't quite know how to categorize it. It had a lot of Japanese culture, humor, romance and a bonding of friendships. There were laugh out loud moments. The four main characters were well developed and very likeable. All in all a job well done! I received this book through Goodreads First Reads for free. Off the top, this was a First reads win. An easy read, funny, fun, humorous. I enjoyed the book, especially since there were nice short chapters which allowed picking it it up and putting it down as needed during busy days. Enough of a (implausible) plot to keep the story going, good blending of the various threads to the climax. Kept a smile on my face for a weekend. Brian Cramer was born in New Jersey. Because of several failed attempts to escape the mysterious pull of the Garden State, he still lives there. He works for a custom cable assembly manufacturer and enjoys nature, technology, anime, the universe, and a hot cup of tea. Trivia About What the Luck?